It’s hard to believe it’s already August. I mean I know it happens every year. An August. But still. How did that happen? What does matter is that you’ll soon be going back to school. And at school you’ll soon be having your Scholastic Book Fair. And at your Scholastic Book Fair you’ll find the next book in the Killer Species series, KILLER SPECIES: Feeding Frenzy will be featured at your school’s fair. And it will be available in bookst ores everywhere October 29! In KILLER SPECIES: Feeding Frenzy time has passed since anyone’s heard from Dr. Catalyst. Emmet and Calvin have even begun to think that the crazed scientist might be gone for good. But then, on a snorkeling trip off the Florida coast, one of their friends is nearly drowned by an underwater monster with endless rows of razor-sharp teeth. No one is quite sure what they saw. Was it a moray eel? A giant barracuda? There’s only one thing Emmet knows for certain. Dr. Catalyst is back. And this time, he’s out for revenge. 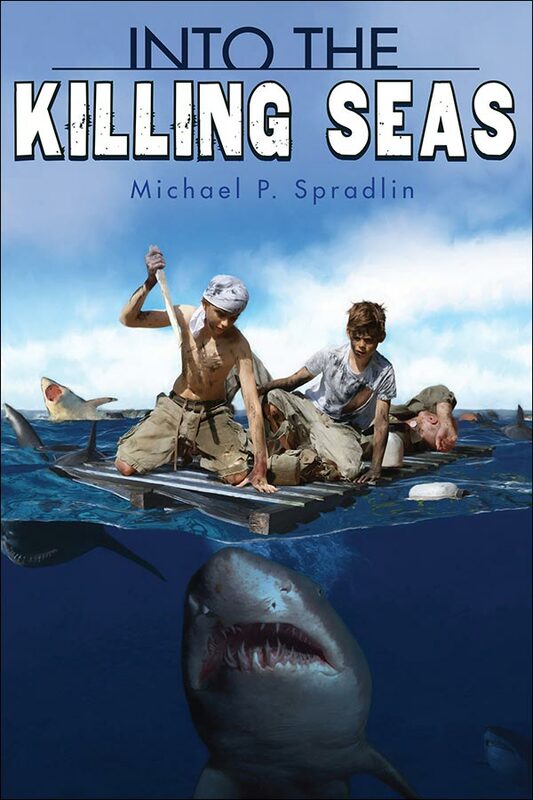 If you missed KILLER SPECIES: Menace From The Deep you can pick up a copy at any bookstore. 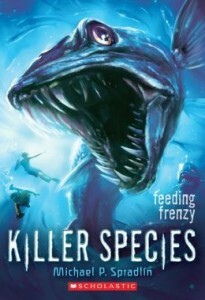 So be sure to keep watch for KILLER SPECIES: Feeding Frenzy. 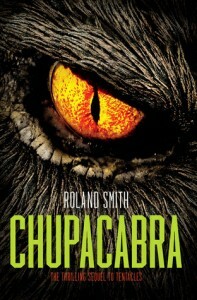 Also, speaking of scary critters, another great book at your Scholastic Book Fair this fall is CHUPACABRA by New York Times Bestselling Author Roland Smith. It is the next installment in his Cryptid Hunters series. A mysterious creature, a missing girl, and danger at every turn . . .
CHUPACABRA, the riveting sequel to TENTACLES and CRYPTID HUNTERS, reunites Marty and his unusual uncle, cryptozoologist Travis Wolfe, as they search the world for Wolfe’s daughter, Grace. Grace has been kidnapped by her grandfather, the ruthless and dangerous Noah Blackwood, who has also stolen the two dinosaur hatchlings Wolfe was raising in secrecy. Now, with word that the mysterious creature known as Chupacabra has been sighted again, Wolfe is torn between his obsession with finding cryptids and his desperate need to rescue his daughter. With trouble at every turn and a dangerous journey ahead, will Marty and Wolfe come face-to-face with the mythic monster? Even more frightening, will they reach Grace before it’s too late? 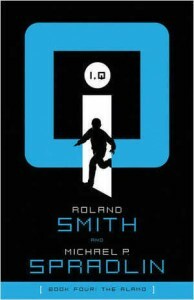 Don’t forget that Roland Smith and I are teaming up to co-write the next adventure in his thrilling I,Q Series. Our first collaboration I,Q: The Alamo is shipping to bookstores now. 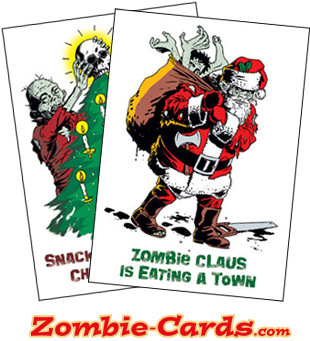 So make sure you pre-order a copy from your favorite bookstore! There you go! A whole year’s worth of exciting new book news! Read on! 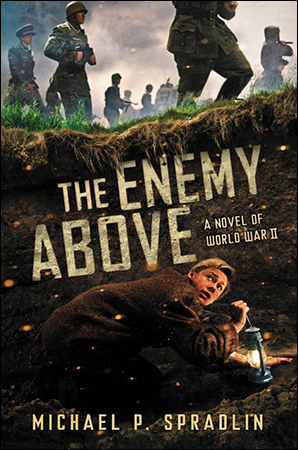 Written by Michael on August 4, 2013 at 10:31 am and filed under Books, Some Favorite Links, Writing. 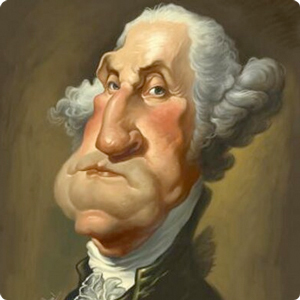 “your authorness”…I love it. congratulations on all of this great book news!